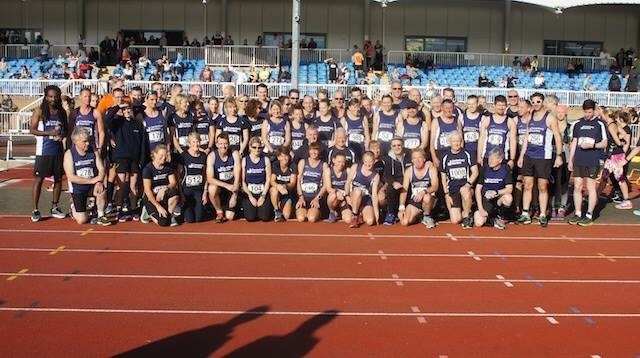 Sunday 7th October saw one of the biggest turnouts the Harriers have ever had in a single race. This was the date for the 4th Club Championship which was run within the Givaudan Ashford 10k. There was 64 Harriers with a total of 24 PB’s including an excellent time of 36.29 for Yiannis Christodoulou, Paul Elderton at 38.37, Simon Cox at 44.37 and Matthew Northover with an impressive 47.45. For the girls there were also some impressive times including Caroline Wetherill at 44.18, Emma Greatrix at 45.55, Emma McCabe at 47.49 and Karen Bennet with a speedy 49.31. Claire Pluckrose, Caroline Wetherill and Deb Parris also won the ladies team prize for the club. There were also 2 debuts from Stephanie Foll, 53.02 and Iain Morris, 39.21 and a special mention to Wendy Smith who grabbed the 1st vet 60 prize. Well done to all those who ran, a full list of results can be found on the results page of the website. Last Sunday, 12th August, saw a good turnout of Harriers at the ever popular, tough and challenging Mount Ephraim 10K. It was a mild and overcast morning which provided excellent running conditions. Coming in at first place, overall, was Robbie Higgins in 37.29, closely followed by the debut of Matthew Slark at an impressive 42.20, who was just ahead of Jethro Kimber at 42.58 which meant the guys picked up the men’s team prize for the Harriers. For the ladies Emma Greatrix was the second lady and also the first Vet45 at 46.58 and Steph Bancroft at 52.48. There were other impressive times for Jon Vann and Matthew Northover who have both been battling long injuries and have worked hard to come in at 52.28 and 53.40 respectively. Well done to all who ran in a challenging and hilly race. 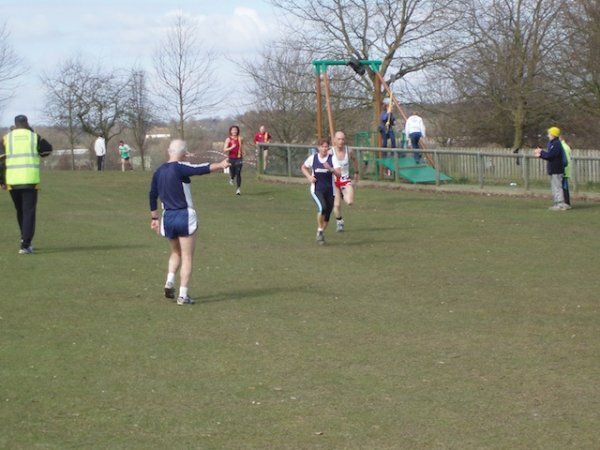 A full list of results can be found on the Canterbury Harriers website. 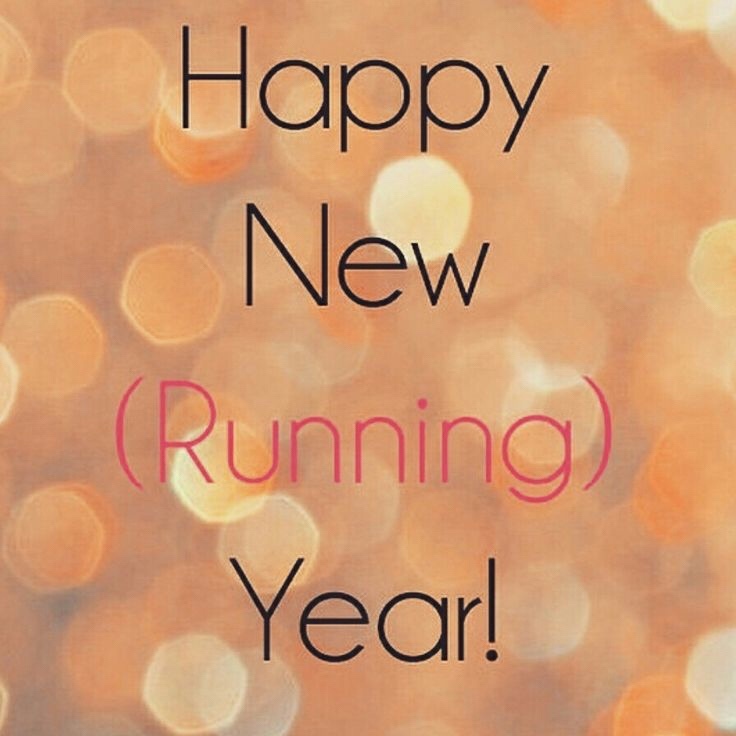 Canterbury Harriers would like to wish all of it’s members and associates a happy new year! We have had an excellent running year in 2017 and we are looking forward to plenty more debuts and PB’s in 2018. Don’t forget training starts back on 2nd January, please check Facebook for updates on sessions. 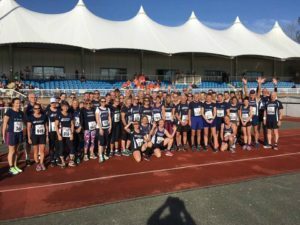 Sunday 8th October saw us going back to the 31st Givaudan Ashford 10K, in near perfect conditions, for the club championship race for the 3rd year in a row. 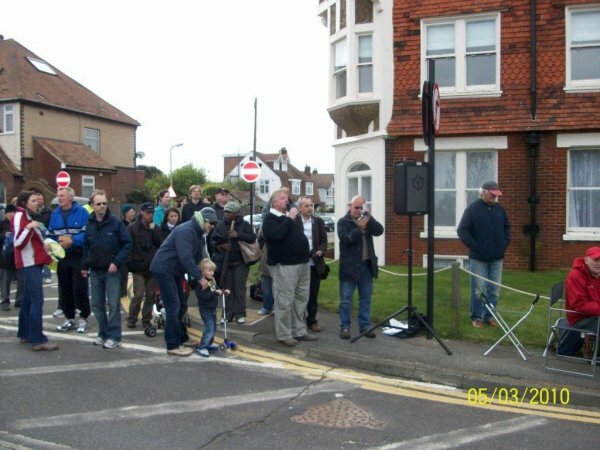 There was a record turnout of 58 members, which is the most we have had over the 3 years, not only that, but the biggest turnout for a race in our racing history. Overall 18 PB’s were recorded and 7 debuts. Notable performances came from Jenny Benson, who was 3rd lady overall with 39.28, Wim Van Vuuren who dipped under the 40 mark for the first time, coming in at 39.47 and there were 2 PB’s for the husband and wife team of Debbie and Daren Parris, with Debbie once again beating Daren, posting times of 45.05 and 45.29. The debuts came from Henry Cox, 39.34, Fuse Campbell, 40.49, Claire Pluckrose, 41.44, Simon Cox, 45.12, Tewodros Negash, 46.12, Karen Thorne, 51.45 and Lidia Hill at 52.32. In the PB’s Fiona Craig went 55.33, Stephanie Bancroft and Tom Jessup both came in at 50.43 for their PB’s and Caroline Wetherill in 45.10. For a full list of results please check the results page on our website. 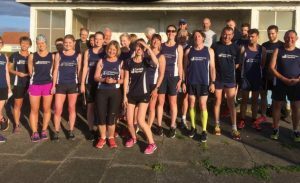 The summer season has come to close and the Canterbury Harriers have had an excellent time with plenty of trophies, race wins and PB’s. 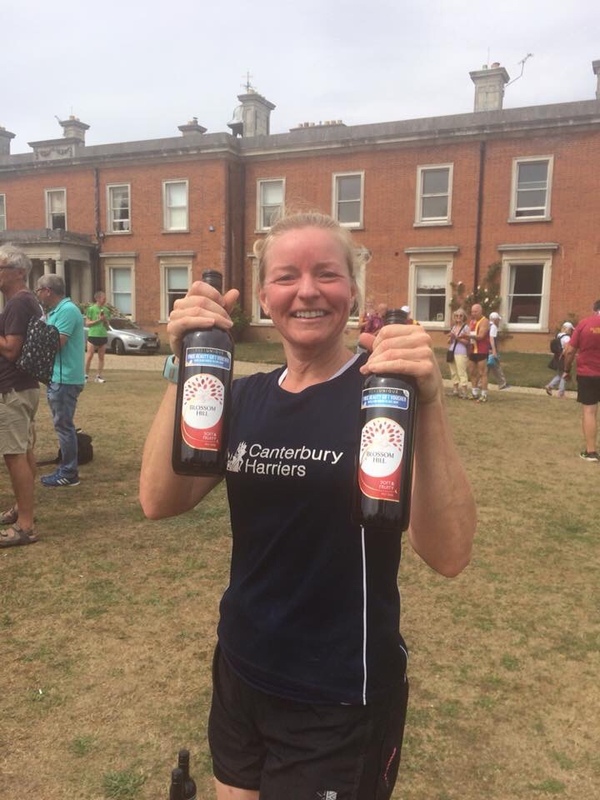 Both Nicola Charlton and Fiona Tester have had come consistently within the top 3 of any races they have participated in, including the Stelling Minnis 10k where they placed 2nd and 3rd respectively. Nicola and Fiona along with Gemma Jeffrey also placed first in the summer relay season to retain the Vet 35 A team trophy. 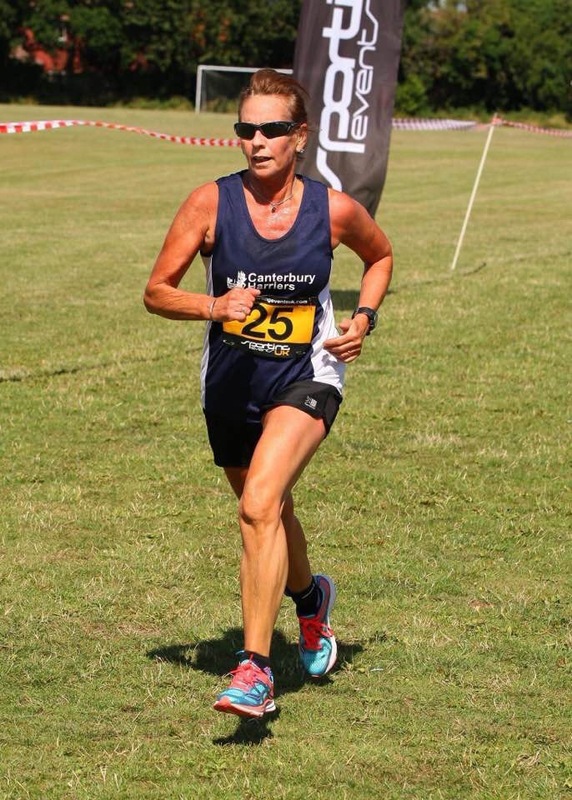 There have been plenty of other triumphs including the East Kent and Aylesham 5k in which Sarah Maguire, Melanie Christodoulou and Wendy Smith came 1st, 2nd and 3rd respectively. At the Canterbury Half marathon, which not only is a tough, hilly course, was also one of the hottest days of the year with temperatures close to 30 degrees, Emma Greatrix, not only placed 4th female but was first in her Vet 45 age category and then a week later in slightly cooler conditions, the ladies pulled it out of the bag again, with Hannah Pilbeam on her debut run for the club coming 1st senior female, Fiona Tester not only getting a PB but coming 3rd female and alongside Deborah Paris and Leisa Foad winning the Ladies team prize. Deborah Paris on that day also clocked a huge PB by over 30 minutes, Debbie has consistently been getting PB’s across pretty much every race she has participated in. 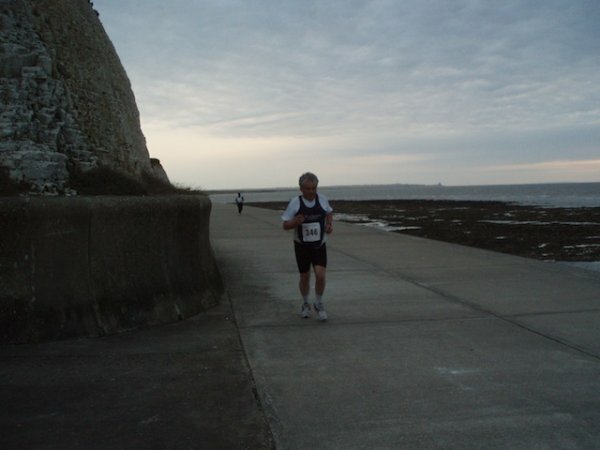 The men have also had a good season; Peter Hogben won the Canterbury Half Marathon for the second time in 3 years. Yiannis Christodoulou, Simon Jones and Alex Horsley along with Peter Hogben have consistently placed high in all races they have participated in. 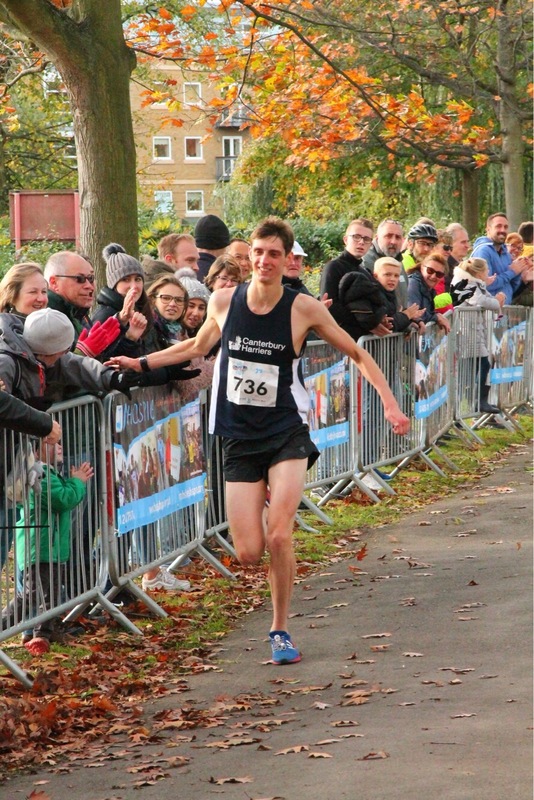 Alex placing high in the Mount Ephraim 10k in 2nd, Yiannis came 2nd in the East Kent and Aylesham 5k, Simon Jones winning the University of Kent at Canterbury 10k. 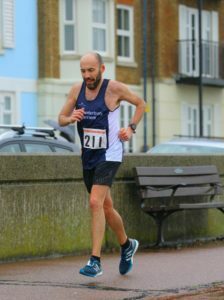 Mark Peacock raced all 4 of the PodPlus Ashford Summer 10k series and came 1st or 2nd in all of the races. Harriers have raced all over the world during the summer in lots of different disciplines and distances, from 5k to 50k, from open water swimming to cycling. We also had 4 members compete for Great Britain, Peter Hogben, came 3rd at the National Championships today for the middle triathlon distance, Yiannis Christodoulou, ITU Aquathlon World Championships came 6th in age group, Simon Jones, ITU Aquathlon World Championships came 10th in age group, Dave Bowden, ITU Long distance Triathlon placed 23rd, all of whom have qualified for next year. 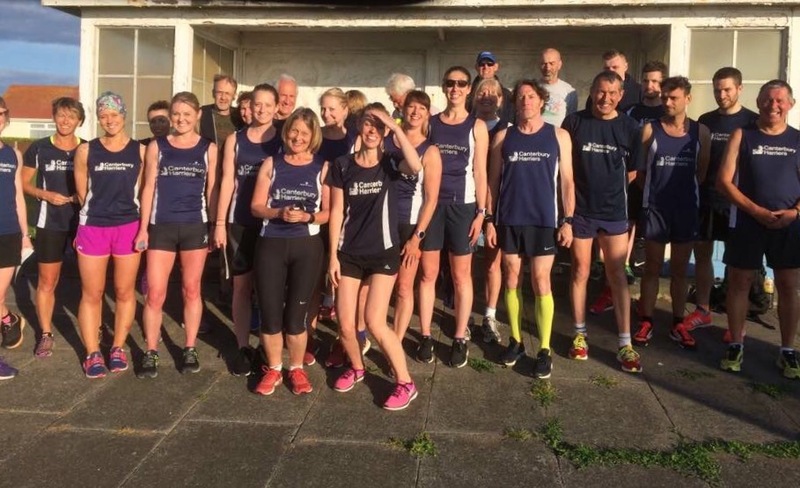 Well done to everyone who has competed over the summer, there have been team prizes, trophies and PB’s galore for us, a full list of all of these can be found on the Canterbury Harriers website. The Harriers were out in large numbers not only in the U.K. but also in Le Touquet in France. 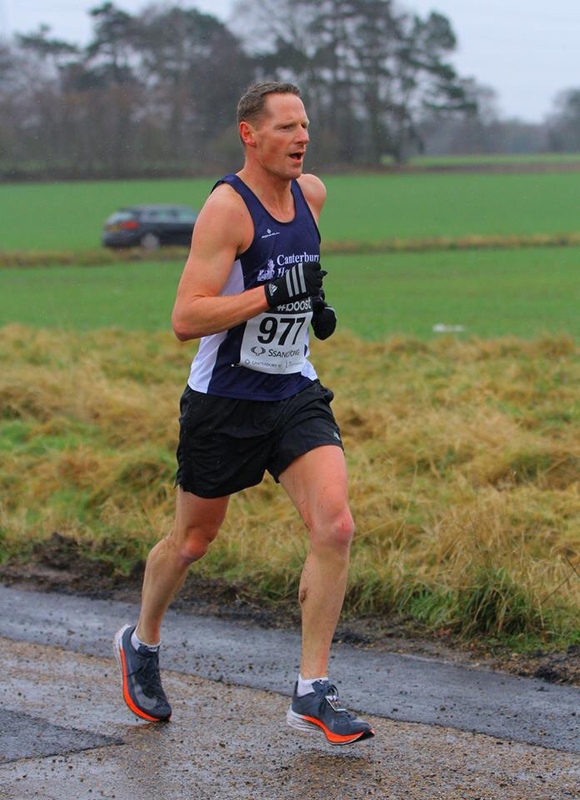 There were 6 runners in the tough and hilly Mount Ephraim 10k, there were no PB’s but some good performances, notably Alex Horsley at 38.04 and Stephanie Bancroft in a good time of 56.16. In the ever popular Aylesham and East Kent 5k and 10k there were 11 Harriers out in the warm conditions. 1st, 2nd and 3rd lady, in the 5k, was an all Harrier affair with Sarah Maguire, Melanie Christodoulou and Wendy Smith taking the places respectively. Nicola Charlton also took the 1st place lady in the 10k. 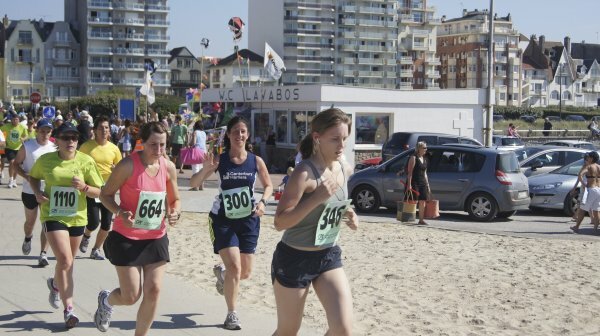 Over in France a small group went out to Le Touquet 10K, including Roy Gooderson who was out there for his 26th year in a row! 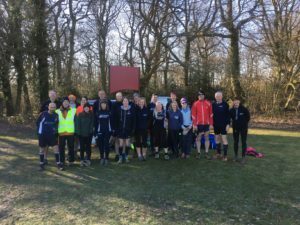 This was a bumper weekend with plenty of medals for the Harriers and all results can be found on the Canterbury Harriers website.